Welcome to SellerCloud's Help site! 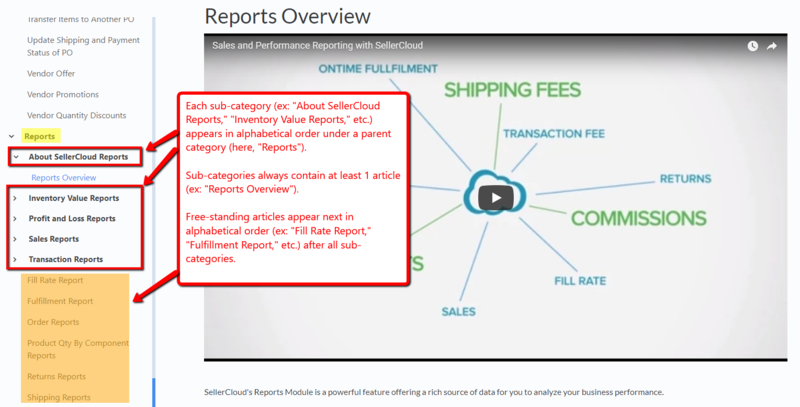 Our articles are a rich resource of detailed information for understanding and using SellerCloud's many robust features and functions. We are committed to adding new articles to this Help site and improving its overall content and navigation! Our goal is to provide the very best customer support to all of our SellerCloud clients, and we hope that this site meets your needs as a useful self-service portal of information. You can see, select, and/or search all the helpful instructions and videos in all the Help categories by starting at the site's Home page. Simply bookmark that page for your future convenience. You can always click Help on a SellerCloud page to launch a feature-specific article.